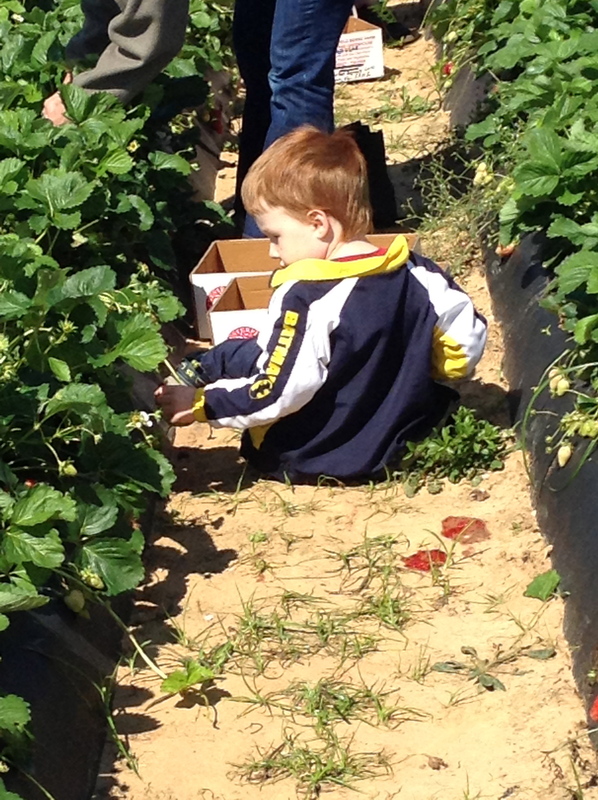 Today I got to reenact one of my favorite memories from my childhood–the annual trek to the local berry farm and strawberry picking with family. 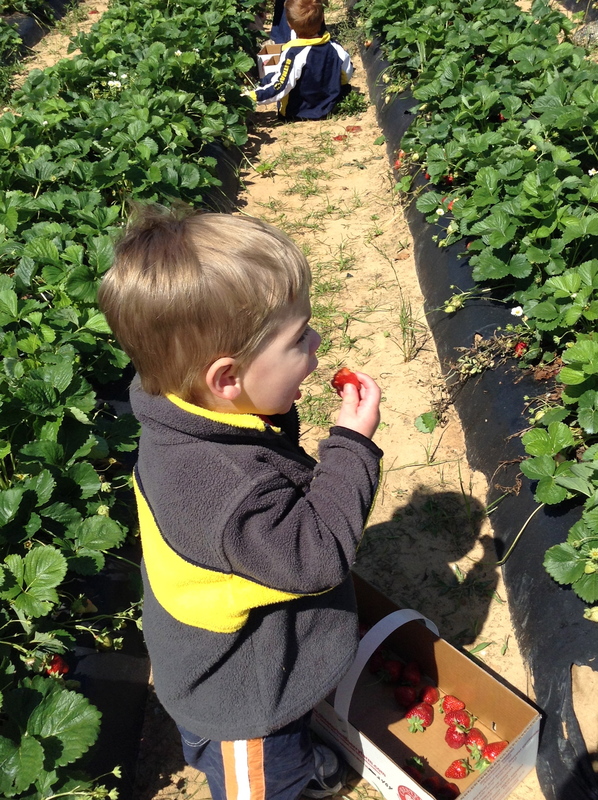 I’ve gotten older, the berry farm has changed locations, and it’s my family-by-choice instead of my family-by-birth, but the feeling is the same. 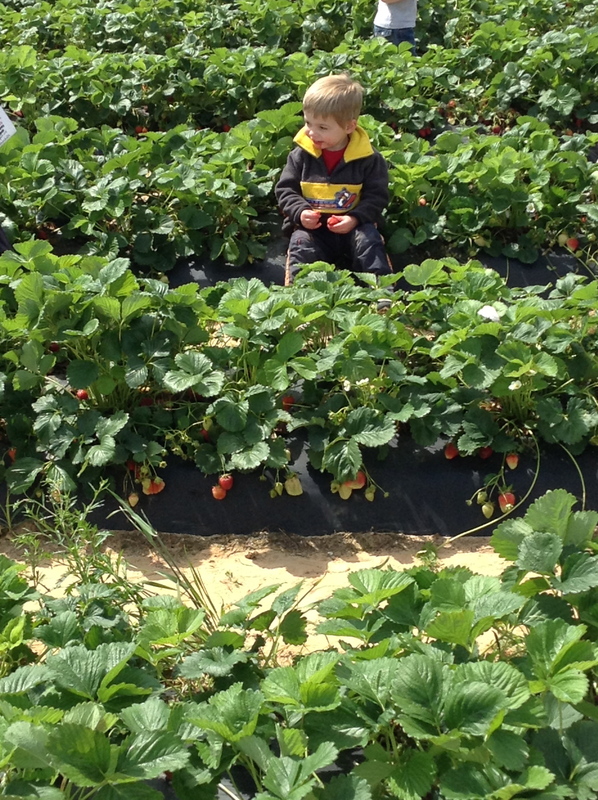 Go early, ride the hayride, watch the younguns have a blast, and eat strawberries straight off the vine warmed by the sun. 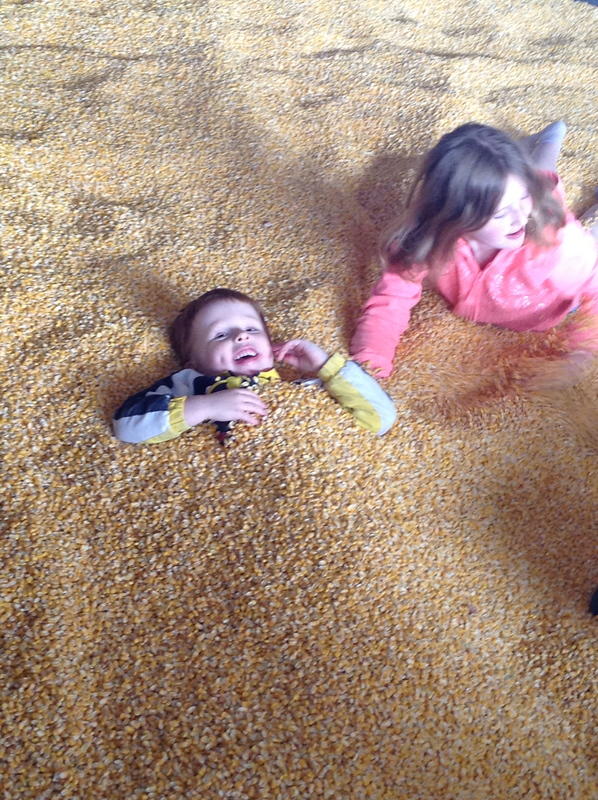 Feed the rabbits, bounce in the bouncy house, play in the giant corn pit. This year it was B and her boys (NoMH opted out), and C and her girls. The girls thought it was a riot, and the boys–once they got the concept of ‘pick the red ones only’–loved it. Little J-bug especially, at 2, who was my companion for most of the morning. He’d make a beeline for a berry, grab it in his fist and yank it off the vine, drop it in my bucket. Stare at it a minute, then pick it back up, pluck off the green tops, and shove it in his mouth whole. 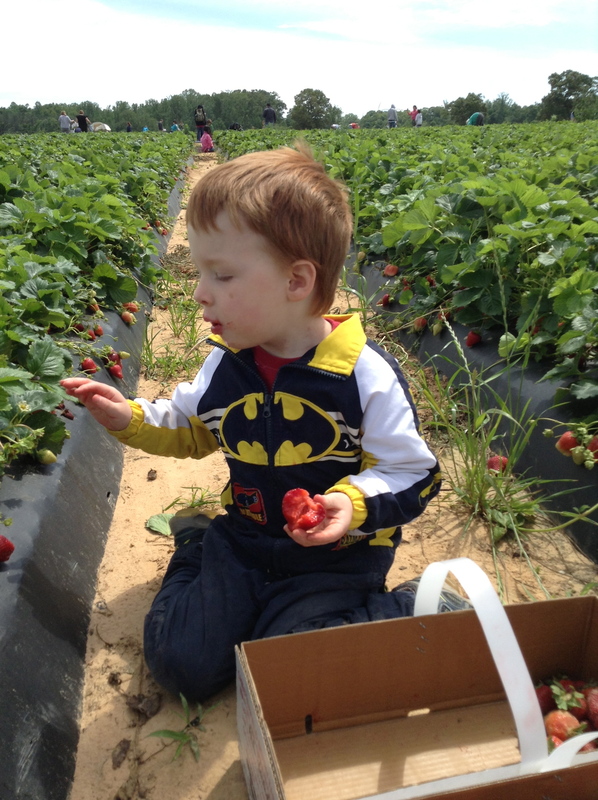 B loved it too–got his own box, and picked about a dozen before he became more interested in ‘helping’ others and eating his own. Well, that, and playing in the dirt. I kept thinking of all the times I used to go to the Ashland Berry Farm with my Papa. 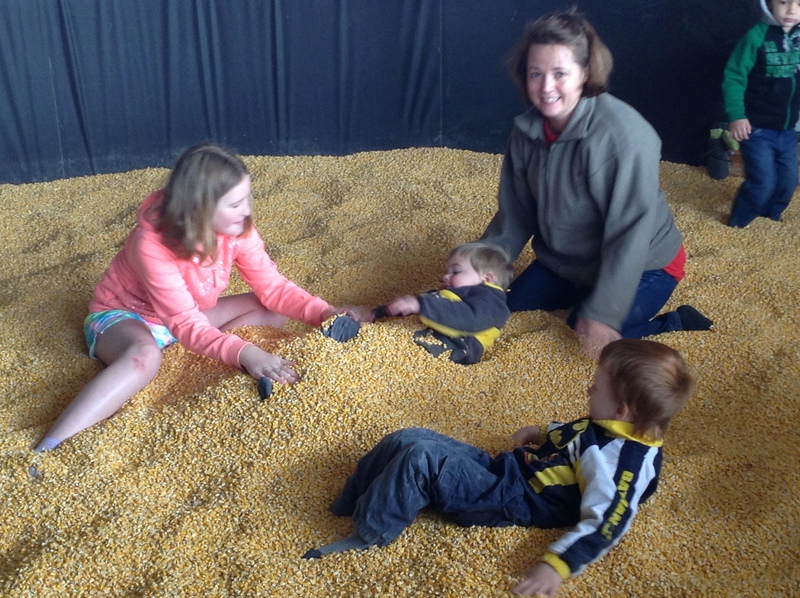 Always in May, no earlier than Mother’s Day weekend and no later than Memorial Day, and picking until my tongue was puckered and my fingers were stained bright red. And what a lovely memory that was for us. I just hope these boys and girls grow up remember the same. That they don’t remember the very windy morning, the long ride, the crankiness, the eighty-leven trips to a latrine, but instead remember that they got to ride a tractor, went on a hayride, and enjoy the experience. This entry was posted in Richmond and tagged friends, mother nature, Photos. Bookmark the permalink. ← Trying to remember to be a hodgepodge regular!